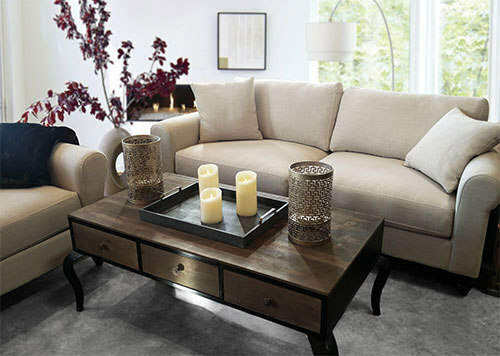 Create a simply elegant living space with the Florence collection. Styled with deep seats, rolled arms and detailed solid wood feet. Feather blended top seating and a beautiful polyester and linen cover make will make anyone feel at home. The Florence range includes a loveseat, chair or chair and a half to complete the set.